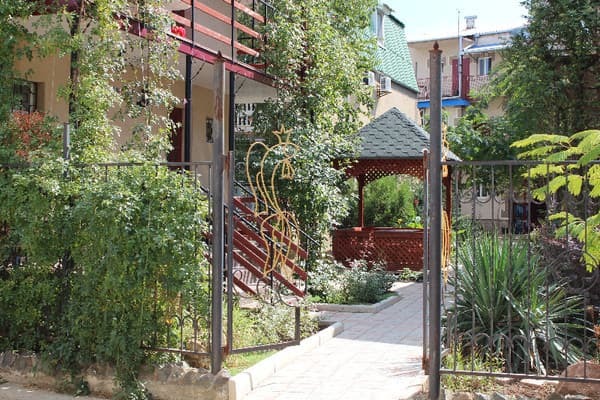 Holiday Village "Priboy" is located on the very shore of the Black Sea, in the resort area of ​​the city. Saki in 50 m from the beach. This is a whole resort complex, consisting of more than 270 cottages. For a complete rest, everything is provided: a sandy beach with all kinds of water attractions, cottages with rooms of different levels of comfort, cozy bars and cafes, a dance and youth complex, attractions, slot machines, rental of beach accessories and other equipment. On the territory of the recreation center there are also a market, shops, a pharmacy, a long-distance telephone communication point, a guarded parking lot, excursions around the Crimea are organized, a currency exchange office is open. In 3 minutes drive from the base are located the entertainment complex "Solnyshko" and the largest in the Crimea water park "Banana Republic", which united 25 attractions and 8 water pools of the most popular water parks in the world. 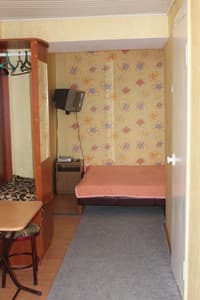 Description of the room: In the room all amenities (WC, shower, cold and hot water all the time), the room has a TV (satellite TV), refrigerator, air conditioning, electric kettle. Description of the room: One-room triple room with all amenities. 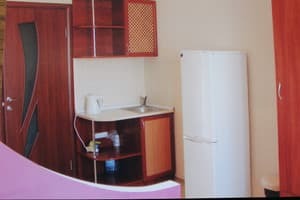 In each room all amenities (shower, toilet, washbasin, hot and cold water all the time), there is a kitchenette (fridge, microwave oven, electric kettle, necessary utensils), TV (satellite TV), air conditioning. Two rooms have their own balcony, one of the rooms has an exit to the terrace. 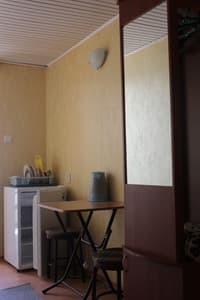 Description of the room: Double room with all amenities (toilet, washbasin, shower, hot and cold water all the time), the room has a TV (satellite TV), refrigerator, air conditioning, electric kettle. For children it is possible to provide an extra seat (a modern euro clamshell). 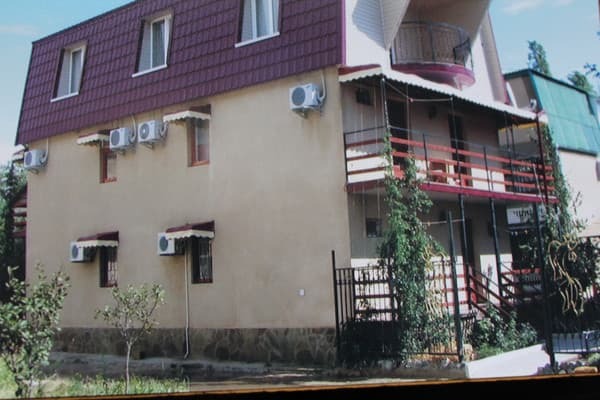 Holiday Village "Priboy" is located on the very shore of the Black Sea, in the resort area of ​​Saki, 50 meters from the beach. Near the recreation center are sanatoriums where it is possible to undergo a course of treatment. Treatment: musculoskeletal system, respiratory system, nervous system, skin disease, gynecology. Before the city of Saki or the city of Yevpatoria, then by taxi. It is possible to arrange a meeting at the station in Simferopol, Evpatoria, Sakah or at the airport in Simferopol.